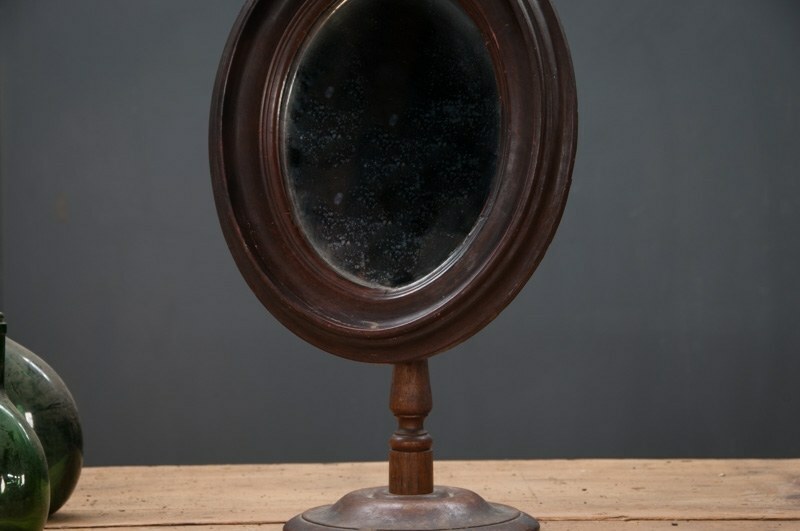 USA, 1900s, Vintage Early Century General Mercantile Counter Top Mirror. 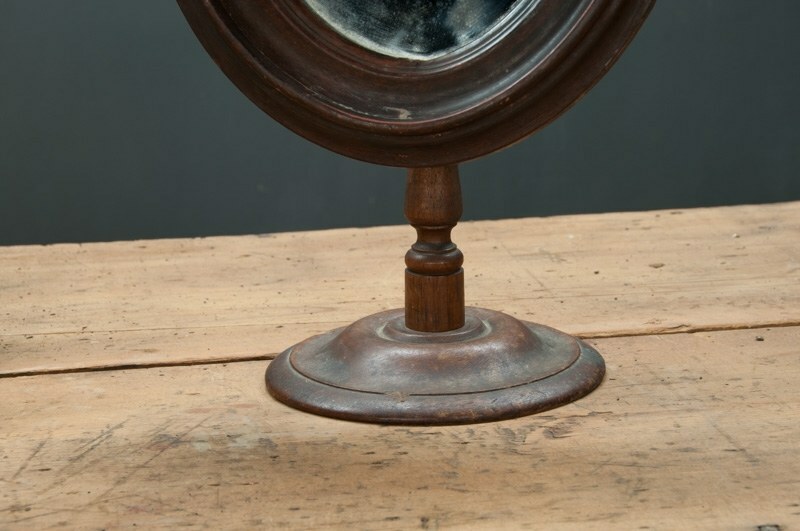 Beautiful Rich Grained Hardwood with Early Mercury silvered Mirror. Pivoting Pedestal Base. 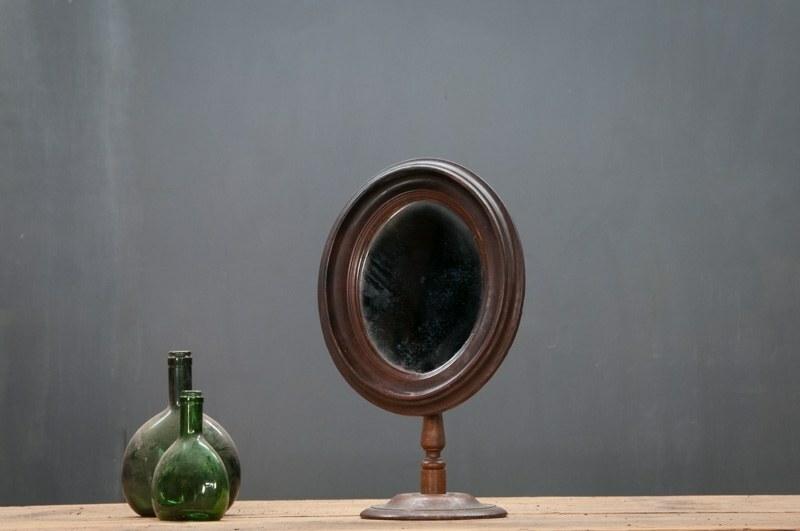 Time Worn Patina. W: 11 x D: 7 x H: 18 in.